An oval cut diamond solitaire set into a four claw white gold setting with a rose gold tapered band. 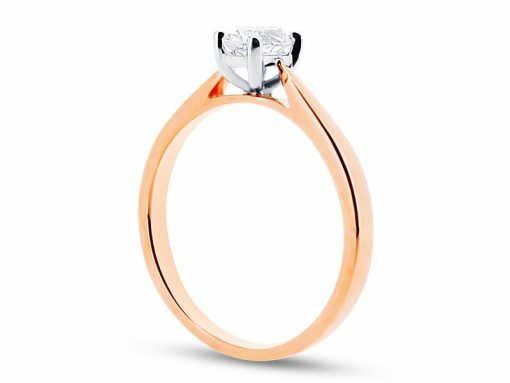 Voltaire Diamonds can custom make this ring for you starting from approximately €1,500 and will advise you on the quality of stones. We will source the perfect diamonds for you. 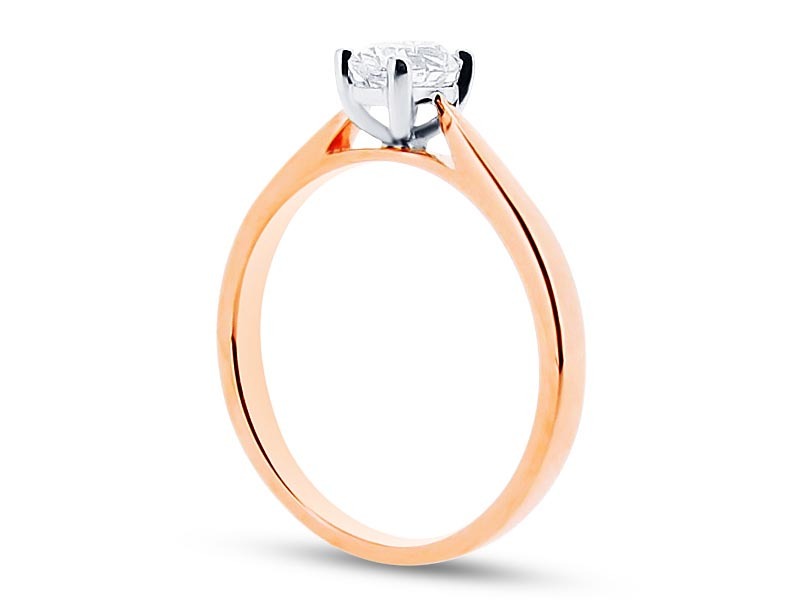 This ring can be set into 18k yellow, rose, and white gold, and platinum. Voltaire Diamonds have a wide selection of diamonds available with diamond grading reports from GIA, IGI, and HRD. 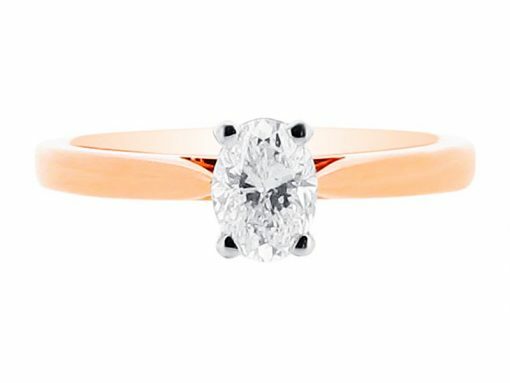 Voltaire Diamonds aim to provide a comfortable and exciting service for one of the most special purchases in your lifetime. We would be delighted to meet with you at our offices just off Grafton Street in Dublin, or Hatton Garden in London.